I grew to understand myself more while I was abroad. I feel more confident asking questions, don't hesitate to meet challenges head on, and feel a lot more expansive as a person since getting back. For these reasons, and countless more, the experience was 100% worthwhile. In retrospect, I see it as a necessary step in personal maturation. I took classes at the IES center and at the University of Granada. My spanish class at IES prepared me well for living in Granada; we learned local phrases and cultural customs. My two other IES classes were fantastic. One was on Lorca, the other on media in the Arab world. At UGR I took a political philosophy class and general sociology. The philosophy class was well worth it. Either way, the IES staff made the UGR process very easy; if you go to Granada, take at least one UGR course! It's a great way to meet local kids. IES is a worldwide organization, which means that each of its specific locations has a different feel. IES Granada is considered by many to be its best program. I agree. The personnel at the school is engaged, compassionate, and experienced, and they do a tremendous job with integration into the city. I can't stress how important the program is, because even if you're thinking that you'll spend no time with the other Americans in your program (as I was), personnel make a big difference. Javier, the director, does everything in his power to provide you with whatever opportunity you're interested in, and the rest of the staff make it happen. IES is a professional program, which means that they only work with nice families and good homes. I lived in a third floor apartment about twenty minutes from the IES center in a nicer part of the city (Calle Alhamar if you want to google it on maps). My host mother cooked wonderful food and I never found myself hungry. One interesting element of the IES program is that they only provide breakfast and lunch; it's up to you to get dinner on your own. With free tapas and a million kebab places, that's never an issue. I'd estimate that I spent 4 euro on the average dinner...2 euro for each beer that came with free tapas. Going out to eat for dinner encourages cultural assimilation! 10/10, enough said. 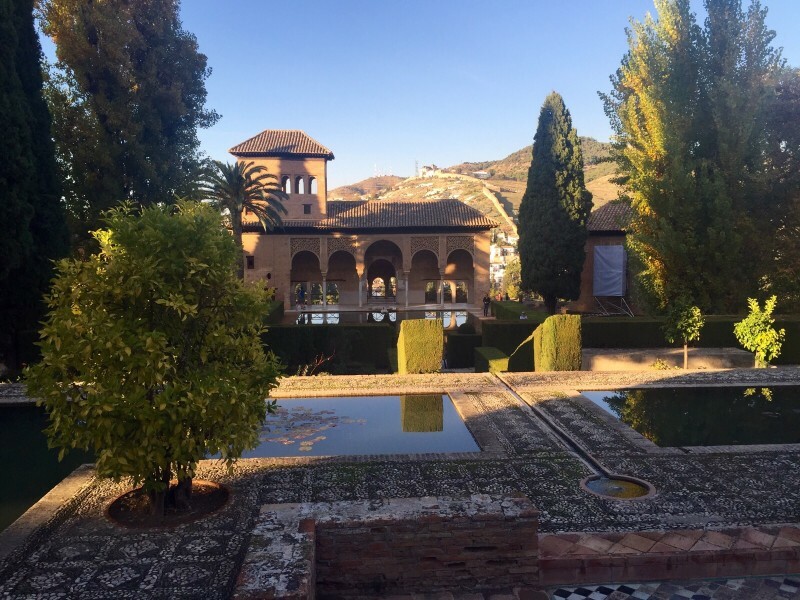 Granada's food is cheap, accessible, and varied! You'll never go hungry, either at home or out on the town. The amount of cultural learning that you do is almost entirely determined by your mindset. If you want to engage with Granada and its people, you will be able to do it and learn SO MUCH. I used my homestay and friends from UGR to figure out cultural stuff, but there are so many other ways to do it. I didn't encounter any issues while abroad, but my friends that did found IES Granda to be absolutely amazing in support of them. Granada is safe. Much safer than Barcelona or Madrid, for example. 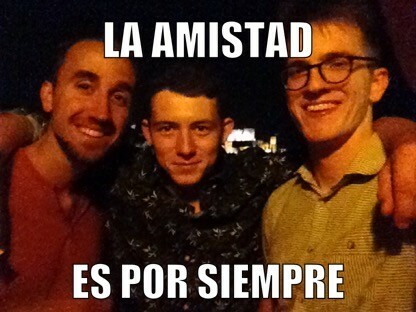 My decision to study abroad in Granada with IES Abroad was one of the best decisions I've ever made. 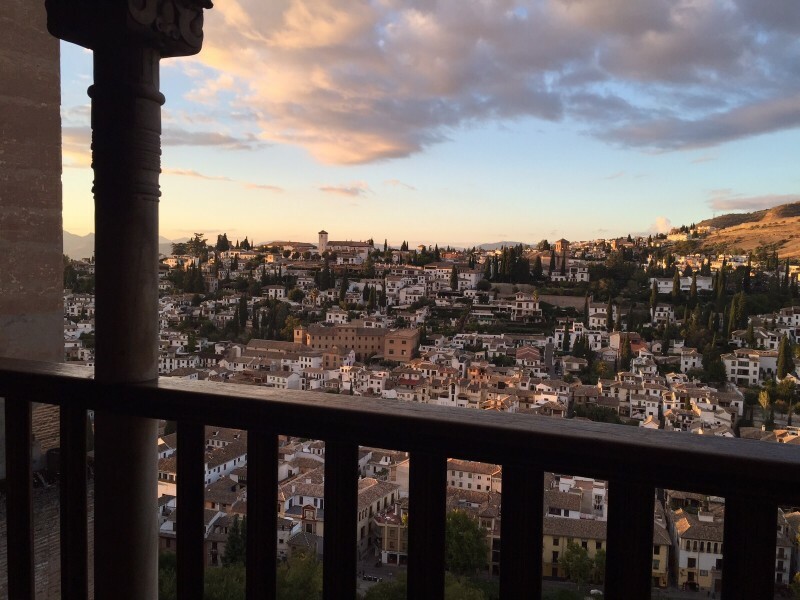 My five months in Granada had a profound impact on my sense of self; since returning, I am more confident, comfortable, and excited about my future. If I could do it all over again, I would DEFINITELY choose the same program. There are three primary reasons - along with a whole slew of secondary ones - that I say this. The first is the IES Granada program. The staff at IES Granada is engaged, compassionate, and experienced, and they do a tremendous job with integration into the city. I can't stress enough how important the program staff is. Javier, the director, does everything in his power to provide you with whatever opportunity you're interested in, and the rest of the staff make it happen. 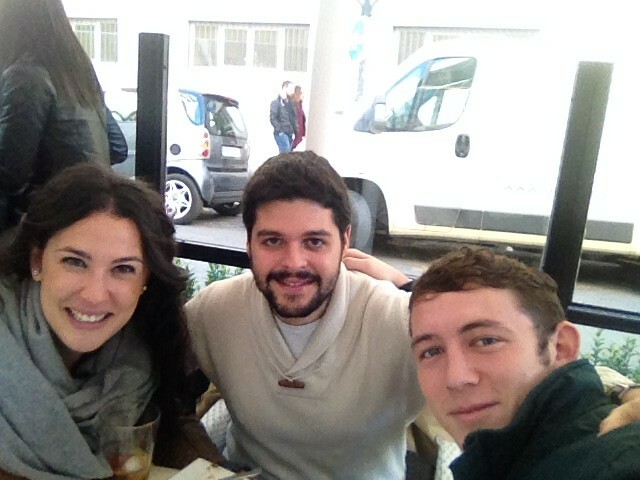 The second reason that I unequivocally recommend the IES Granada program is Granada itself. You'll fall in love with the city! It's cheap (free tapas) because it's a young city, a city of students. The University of Granada plays a big role in its character, which makes the night life fantastic as well. The people are the best part, though. Andalucians in general are nicer than their northern counterparts, and life is more slow-paced. People take the siesta; no one seems to be in a hurry. I visited all the big cities in Spain, and I have to say, Granada is definitely the most beautiful! Even people from from Barcelona and Madrid will tell you the same. The final reason that I give the IES Granada program ten stars is the amount of cultural assimilation that the program facilitates. For homestays, the program works with nice families in good homes. I lived in a third floor apartment about twenty minutes from the IES center in a residential part of the city. My host mother was proud to share wonderful food with me, and I never found myself hungry. Not only that, but my host family was committed to helping me connect with Andalucian culture; they brought me to concerts, introduced me to their extended family, and taught me a great deal of colloquial spanish. I will never forget them. I had such a good time in Granada that time seemed elastic. Five months passed in what seemed like five days. Reflecting on the experience now, I realize that I wouldn't have had it any other way. Granada is cheap! Food, transportation, everything! Not including program expenses, about how much money did you spend on food and other expenses each week? About 30 euro. Do you have any general money-saving tips for future study abroad participants? If you use an ATM to get cash, withdraw larger sums at fewer intervals, that way you don't pay more processing fees. What was the highest level language course you had completed prior to departure? Fourth semester of college spanish. Do you have any tips/advice on the best ways to practice the language for future study abroad participants? Make a commitment to yourself to speak in a given language for a given amount of time, and then stick to that commitment! I would have loved more time to play sports! * What do you know now that you wish you knew before going on this program? I wish I had known to take more pictures!